Any time of the year is a great time to head to the beach. Honestly there doesn't seem to be a bad time of year for warm weather, tropical breezes and lounging by the sea. Although most beach front property is inviting, there are some locations that are definitely more amazing than others. WhatAHotel! is pleased to showcase the absolute Best Beach Hotels all over the world. So let's take a peak at a few properties that are decadent enough to ensure your beach vacation is truly unforgettable. Ah Hawaii! There really isn't anything else that needs to be said about this stunning location. It gets high marks for beauty, ease of travel and remarkable resorts. U.S. citizens love this destination for the ability to travel without a passport but upon arrival feel like they are in an exotic foreign locale. With all of the lovely hotels and resorts located on the Hawaiian islands, it could be difficult to find the perfect one for you. Never fear, WhatAHotel! can help you find the best place for you and your travel companions. The always remarkable Four Seasons, a preferred partner with WhatAHotel!, is one of the best beach resorts in Hawaii where you'll find quality and service that sets this hotel group apart from many others. 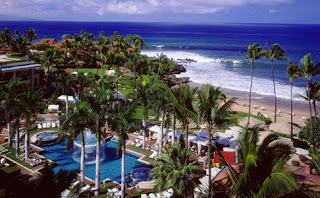 The Four Seasons Maui is situated on Wailea beach and offers impeccable amenities along with lush accommodations. Art-filled common areas help to create an atmosphere of sophistication along with the very stylish decor. The fabulous staff will insure you enjoy the three pools, the championship golf course, state-of-the-art spa and scrumptious dining options. The combination of Four Seasons and Maui makes for a flawless vacation destination. W Hotels Worldwide is yet another hotel group that promises culture and elegance at each and every one of their marvelous hotels. 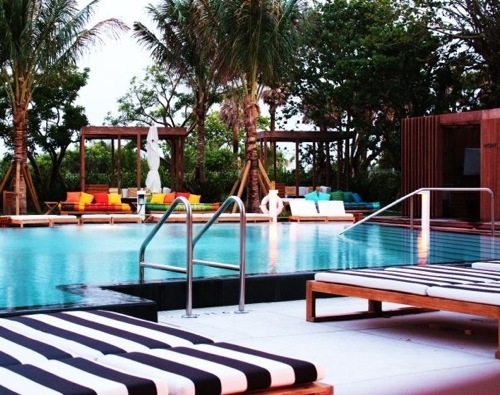 The W South Beach is a resort that gives guests beachfront accommodations, charming comforts and fabulous design all wrapped up with phenomenal service. Modern Rooms have unique terraces that overlook the ocean and the pool area shows off elaborate landscaping as well as ultra-chic cabanas. If oceanside is more appealing than poolside, guests can rest assured that they will not miss out on the incredible service offered to the pool visitors. All of the loungers on the beach receive amazing service from the attendants that are staffed to care for the oceanside guests. And finally, after a long night of dancing at one of Miami's hottest night clubs, have your muscles rubbed out at W South Beach's famed Bliss spa. All of these remarkable characteristics make the W South Beach one of the most decadent hotels in luxurious Miami. 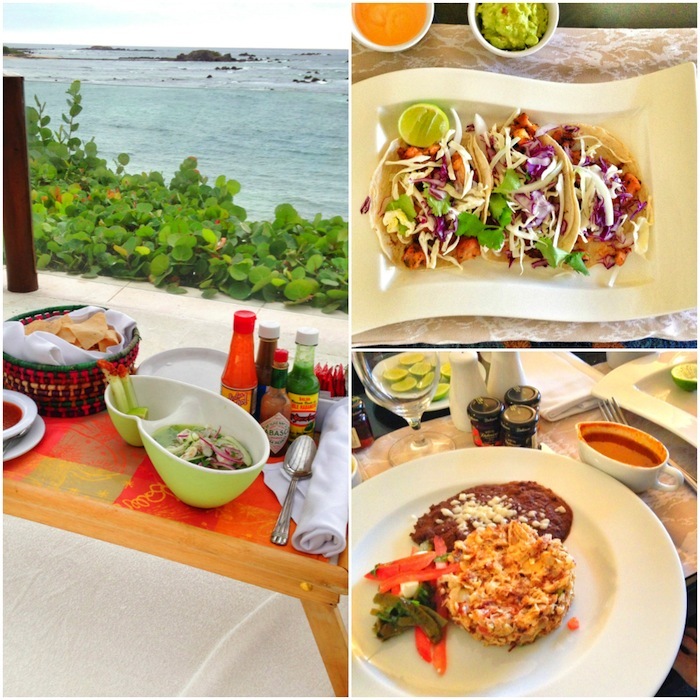 Mexico is a country filled with breathtaking beachfront resorts. St. Regis Punta Mita is one location that promises to be filled with astonishing elements that will create many memories. This posh resort area was the perfect place for St. Regis to build a 22 acre tropical paradise. Here guests can golf, walk through the verdant gardens, lounge in their luxurious suite or take a dip in one of three inviting pools. The beaches boast cozy lounge seating, white sand and gorgeous views. Relax during a treatment at the on-site spa or taste the delicious menus offered up at the restaurants. No comfort has been overlooked at the immaculate and stylish St. Regis Punta Mita. These are just a few examples of extravagant beach resorts that promise guests will experience the ultimate vacation get-away. WhatAHotel! offers guests that book their vacation with us additional exclusive complimentary perks and benefits that will make your stay extraordinary. Let us help you plan your summer travels to one of these terrific resorts, or any other fantastic beach hotels, and let's create long lasting travel memories. If you spend all of the time since your last beach vacation dreaming of your next beach vacation, if while in a tropical destination you have a hard time leaving your ocean side lounge chair or if you find yourself searching for a hotel or resort that not only gives you direct access to pristine white sandy beaches but one that also understands the need to have amazing amenities near the sea, then you might be considered a beach obsessed tourist. Never fear though, you are not alone. Many resorts and hotels understand this obsession and have created ways for beach lovers to squeeze in every ounce of vacation time on their beloved beach. Here are a few locales that offer guests the chance to stay on the beach. Beach lovers rejoice. Our first destination is in the remarkably beautiful country of Australia. Located with direct access to The Great Barrier Reef, Hayman is a resort that will impress. 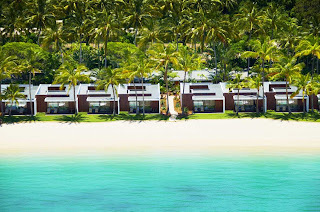 While every guest room at Hayman is amazing, their Beach Villas are literally on the beach fantastic. A few steps outside your back door and you will find the azure blue waters and tempting beaches. Large sliding doors allow guests staying in the villas to enjoy the ocean from the comfort of their bed. A private plunge pool is also attached to the room giving guests literally everything they could ever want all wrapped up in a chic and stylish room on the beach. When your room is on the beach, you technically never have to leave the beach. 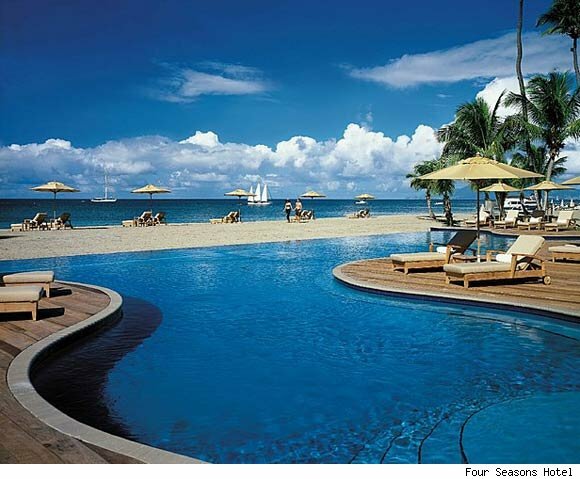 Saint Lucia is another tropical paradise that offers visitors the chance to stay on the beach. The stunning Jalousie Plantation, Sugar Beach located in the Caribbean has eight bungalows that are anywhere from 20-100 feet from the turquoise waters and fabulous beaches. 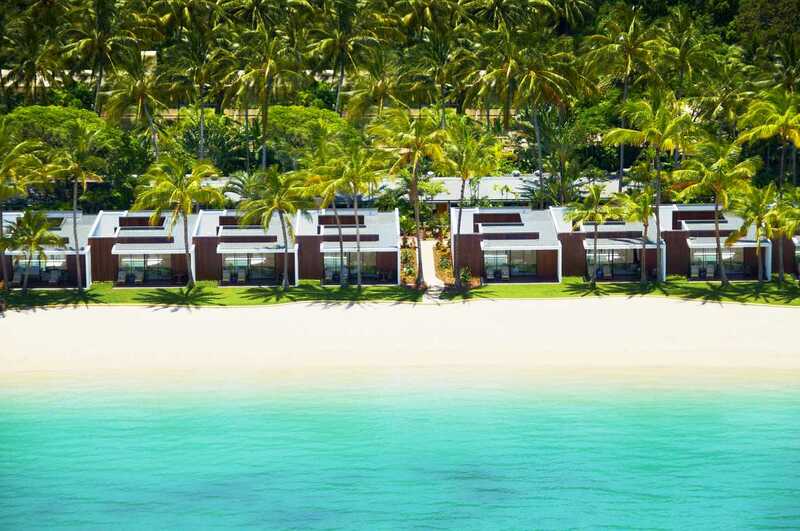 These villas were recently added and opened early in 2012, showcasing yet another example of how hotel and resort groups are fulfilling travelers desires to be beach side. This one time sugar plantation now has private suites hugging the ocean with wood floors, private Jacuzzis and the option to utilize a private butler. Stay on the beach in lovely Saint Lucia. Riviera Maya is a fabulous location in Mexico and the luxurious resort Maroma Resort and Spa is a great spot for beach lovers. This breathtaking spot is a great combination of casual and elegant. The ocean-front villas have huge sliding doors that bring the outside in. 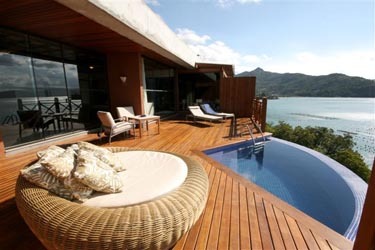 Villas also boast amazing amenities and private plunge pools to ensure your time here is absolute perfection. 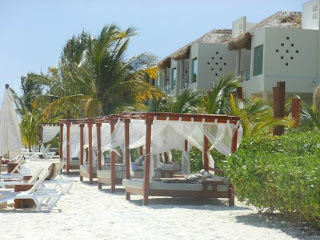 This might just be the perfect Mexican vacation destination for those that desire the feel of sand between their toes. These are just three locations that prove you can never get too much beach time. If none of these destinations intrigue you, never fear, WhatAHotel! 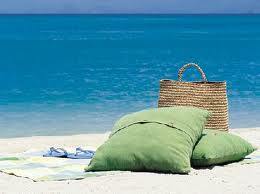 has many more options of great beach and ocean vacations that will easily inspire. Get ready to pack your flip flops, beach bag and sunscreen for the ultimate tropical vacation, and if you're really lucky, you'll never have to step away from the sand. As springtime heats up, and summer just around the corner, American waterfront cities gear up for tourists. Many of these locations offer not only great hotels and restaurants but also some unique history and exciting adventures. Let's see if any of these fabulous coastal communities have what it takes to draw you and your travel companions to their fun-filled streets. Baltimore is one of the nation's older cities and every summer it attracts people to its beautiful and vibrant waterfront area. 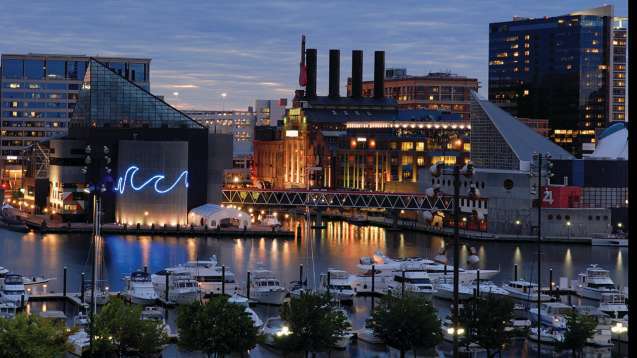 Another thing that makes Baltimore's waterfront even more alluring is the number of fabulous attractions that call this area of the city home. The National Aquarium, Maryland Science Center as well as great restaurants, street entertainers and charming shops can all be easily accessed from the city's ocean front area. If the idea of visiting beautiful Baltimore sounds like a great idea, WhatAHotel! can offer up the fabulous Four Seasons Hotel Baltimore for your stay. Here guests will experience the stellar service and quality found at all Four Seasons Hotels, along with the urban retreat feel of this top-notch hotel. Dine in an upscale setting or head to the spa for a luxurious treatment, all of these amazing amenities will help to ensure your time in Baltimore is truly spectacular. 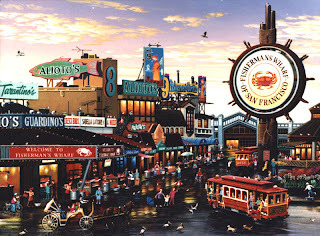 San Francisco is a waterfront locale that attracts visitors not only during the summer months but year round. But if a trip to California is on your itinerary this summer, check out the great neighborhoods in San Francisco. All of the waterfront areas have very unique characteristics and an allure all their own. One of the most famous is Fisherman's Wharf, a commercial fishing port turned tourists attraction. Walk along the pier and see the many sea lions that lay around sunning their bellies or hit one of the great restaurants in the area for some of the freshest seafood of your life. If this destination sounds like the place for you, let WhatAHotel! help you book your stay at one of our Best Hotels in San Francisco. 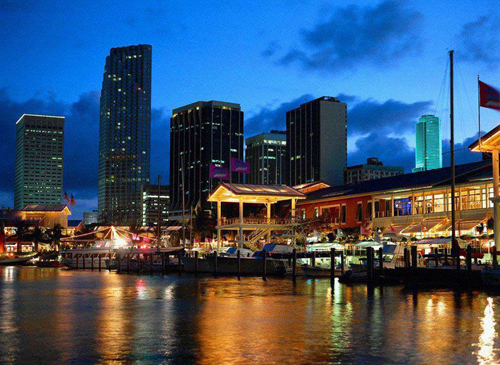 Fort Lauderdale has long been a famous waterfront community and still today remains a top spot for vacation travel. What makes this Florida city so great is that, thanks to all of the canals and waterways, the entire city is one massive waterfront. Great beaches and chic shopping can be found all over this amazing city, so guests can have tons of fun with water activities, enjoy delectable dishes at the oceanfront restaurants or boutique shop at some of the high-end stores. WhatAHotel! 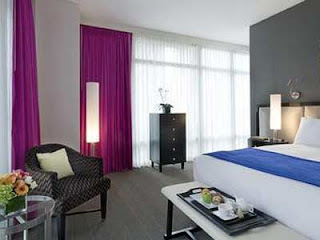 is proud to offer exclusive perks and benefits at Fort Lauderdale's Best Hotels. Although a visit during the summer months to either of these next two cities will showcase hot and very humid weather, both locales are definitely worth your time. 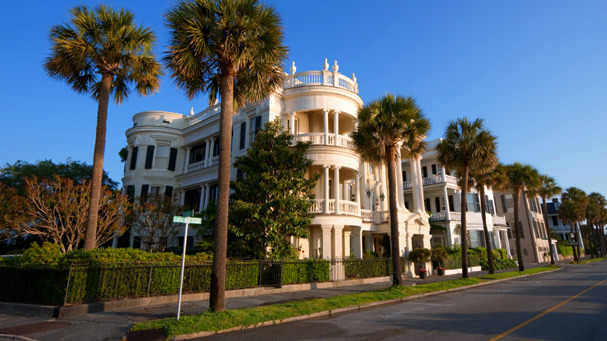 First is the historic and adorable city of Charleston. Everywhere you look in this South Carolina waterfront community is not only charming but has a great story to tell. All summer long, outdoor festivals and farmers markets are held in the city square, and horse drawn carriages are easily found to give you a ride around town and hear the awesome stories from Charleston's past. The restaurants around town offer fresh and local flavors and when night falls many locations come alive with drinking and dancing. Our next hot town is also historic and very charming. 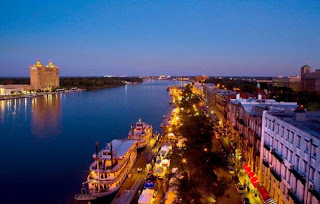 Savannah, Georgia is full of mossy trees, giant parks and antique homes and storefronts that captivate visitors from the first moment they arrive. The waterfront area is a great place to spend the day. 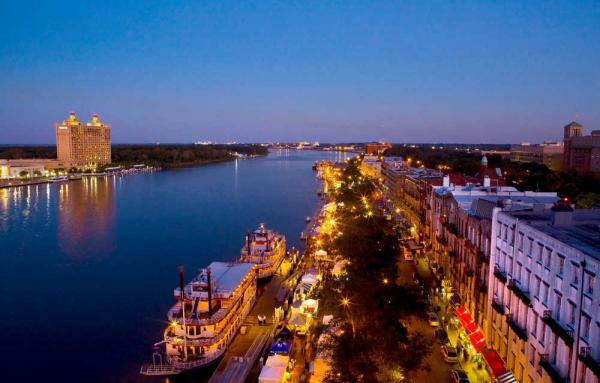 Tourist shops, delicious restaurants and bars and even an open air market that sells local artisan wares are all found on the edges of Savannah's canal. Both cities will capture your attention and your heart with all of the history and magic found here. If you plan a trip to Charleston, check in at the beautiful Charleston Place Hotel, considered one of the finest hotels in the area. If Savannah is more your idea of summer fun, head to the urban chic Andaz Savannah that is overflowing with artful decor and a relaxed vibe. Either choice will ensure that your trip is full of history, landmarks and beauty. With so many remarkable places all over the world that temp us to come and enjoy their culture and amenities, sometimes we forget that this amazing country is overflowing with impressive places to spend time. WhatAHotel! is thrilled to be able to offer customers exclusive complimentary perks and benefits in most of these awe-inspiring areas. This summer head out to one of America's most amazing waterfront cities and enjoy summer fun close to home. For many kids, the school year is coming to a close. This means some lucky families will be heading out to enjoy summer vacation. June through August can be the busiest time of year in many locations. Beaches, tropical islands and big cities tend to attract those looking for a great place to spend quality time with the kids. Heading to a high demand locale is the norm but can become expensive and quite crowded. So if you are searching for that perfect place to take your family this summer, consider a few of these not so crowded destinations that still find a way to impress. Heading out to a location that is in the middle of winter (at the same time we celebrate summer) may not sound that desirable, but South Africa's winter wonderland is nothing like ours. Africa in the winter is quite similar to North America's summer. African summers are scorching, so their winter's boast less humid air and cooler temperatures that make this time of year perfect for travel. WhatAHotel! has a great variety of resorts that cater to the tourists looking for a wild adventure as well as a laid back stay. 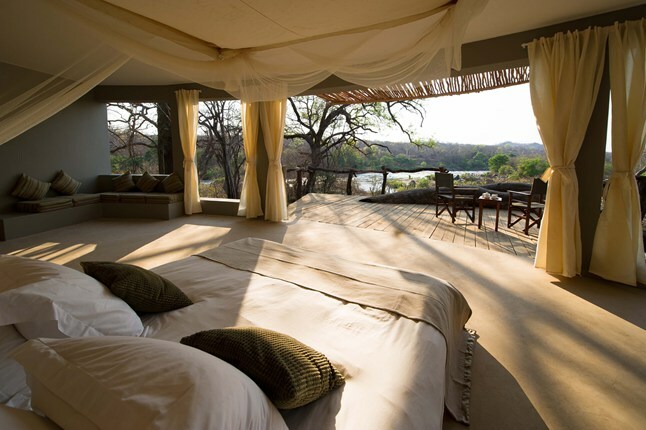 Check out the rugged but posh Ulusaba Private Game Reserve located inside of Kruger National Park. Here guests can enjoy the ultimate safari experience as well as a unique tree house setting for your deluxe accommodations. If that all seems a bit too rustic for your taste, enjoy the lovely city of Cape Town where you can find tons of culture; five-Star restaurants promise to serve-up delightful dishes, the remarkable wineries show off amazing wines from the region, stunning beaches and blue waters allow for water filled days and the stylish streets present some rather exquisite shopping. 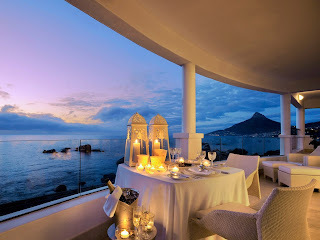 Stay at the ultra-chic 12 Apostles Hotel and Spa and get ready to be completely pampered. Sitting in a location that allows guests to experience the iconic Table Mountain National Park or hit the stunning South African beaches, this resort is amazing. South Africa may be ready to hit their low-season, but the activities and amenities you will find will make you wonder why they ever have a down time. Costa Rica is yet another destination that is ready to welcome tourists this time of year. Although there is a bit more rain this time of year, the fact that there will be lower cost and less crowds makes up for the drizzle. WhatAHotel! is proud to offer a number of incredible locations in this beautiful country. Guanacaste in one site that offers guests the best of both worlds, spectacular beaches and lush rainforests. Stay at the charming Four Seasons Resort Costa Rica for the time of your life. Stellar accommodations, top-notch restaurants and Eco-adventure awaits you at this luxurious Four Seasons Resort. It is quite common for tourists to head to the islands for summer break, ready to get away from it all and enjoy the sun, sand and surf, so our next location may surprise you. 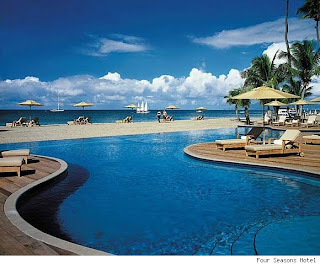 Saint Lucia in the Caribbean experiences a low season this time of year. With this being the case, travelers can find great deals and stay on a Caribbean Island that is truly a gem. WhatAHotel! 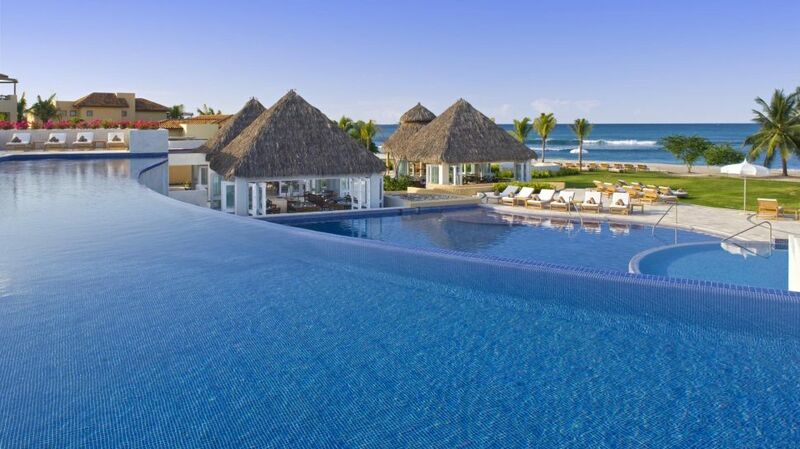 presents two unbelievable resorts that will knock your socks off. 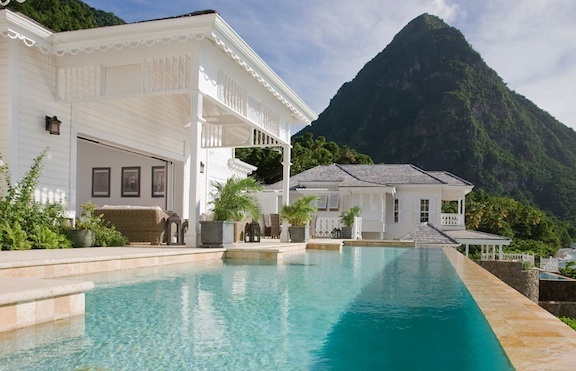 Check in at Sugar Beach, A Viceroy Resort amongst 100 acres of rainforest and the World Heritage-listed Pitons. Plantation style elegance in rooms that are just a few steps away from the beach will entice guests. Spa service, waterfront dining and new beachfront bungalows all welcome you to St. Lucia. Our next striking resort is the boutique resort of Cap Maison that is situated on a bluff that overlooks the azure blue waters of the Caribbean. This hotel has it's own beach to ensure privacy, but located just a few minutes from Rodney Bay's restaurants and shopping. Both resorts offer the ultimate in service and accommodations to make every guest feel indulged. These are just three areas that promise your summer travel plans will not be filled with long lines and thousands of impatient tourists. Remember that off-peak does not mean lack of things to do. It can equal money saving options on airlines, hotels, restaurants, excursions and shopping as well as less cramped venues and city streets. Let WhatAHotel! find the perfect low-season destination for you and your family and get ready to have the summer vacation of your dreams. 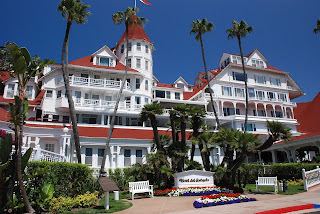 In past articles we have written about the iconic and luxurious Hotel del Coronado. It's remarkable red roofs and historic past make it easily a prime choice for a vacation destination. But throughout the U.S. tourists can find many other great noteworthy locales that will impress. If you are searching for fabulous trip ideas with a story to tell, let WhatAHotel! show you the way. Here are a few sites that have a celebrated past and an exciting future. 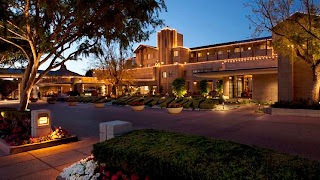 In Phoenix, Arizona history buffs will fall in love with the incredible Arizona Biltmore Resort and Spa. Designed and built back in 1929 by the McArthur brothers with assistance from famed Frank Lloyd Wright himself, this architecturally significant hotel has an astonishing 39 gardens, 8 pools and 22,000 sq ft of spa and fitness facilities. 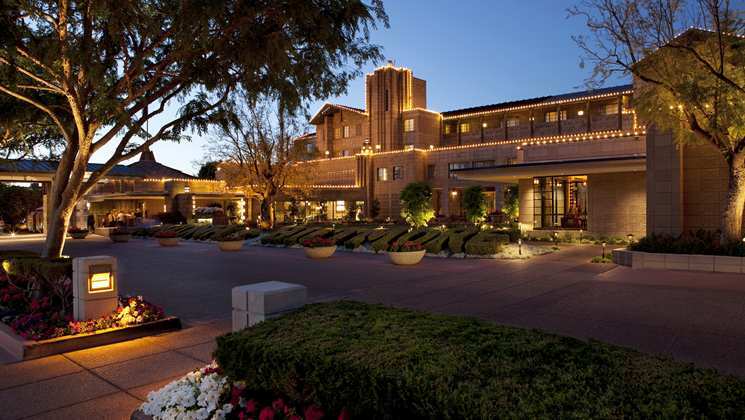 The past of the Arizona Biltmore Resort and Spa is filled with astonishing antiquities. It was one of the very first resorts in Phoenix and one of the only current hotels that was designed with the help of Wright. Other notable historic facts include it's abundance of important guests like presidents, Hollywood superstars and famed world figures. Stay in style with modern conveniences and absorb the character and charm of the golden age. 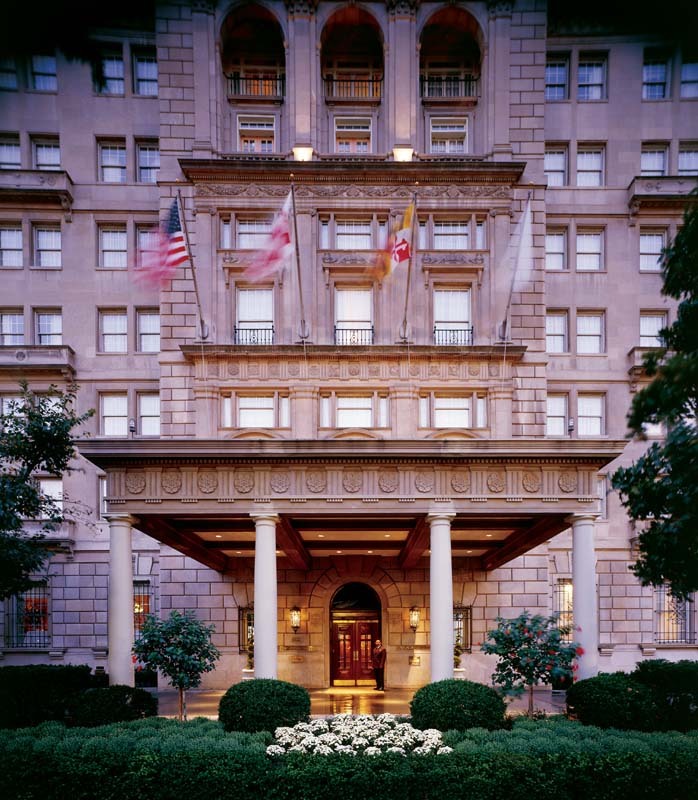 Washington D.C. is filled with landmarks, memorials and architecturally significant sites, so it comes as not surprise that located in the country's capital tourists can find a historic hotel worthy of their time. The Hay-Adams is a boutique hotel located across Lafayette Square from the White House. Is there any other address with more prestige? Once the location of two homes of prominent D.C. families this site was once bustling with local celebrities and great minds, all visiting to share ideas and stories. In 1927 the homes were replaced by a stunning hotel named after the families that once lived there. Today it is visited by locals as well as tourists looking for impeccable style, traditional decor and a fantastic location to all that is fabulous in this great city. The dining options here are exquisite and has a reputation around town as serving some of Washington's elite. Find all that was old blended beautifully with contemporary conveniences and stellar service at the famed Hay-Adams. When you plan your trip to Hawaii, there is a good chance that the last thing on your mind is all of the history that is found here. Most travel to experience the amazing weather, fabulous scenery and breathtaking beaches. 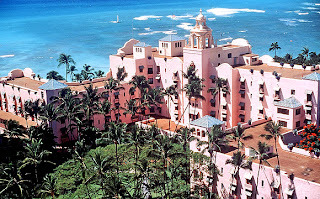 But Honolulu's The Royal Hawaiian is a location where the past is as interesting as its future. 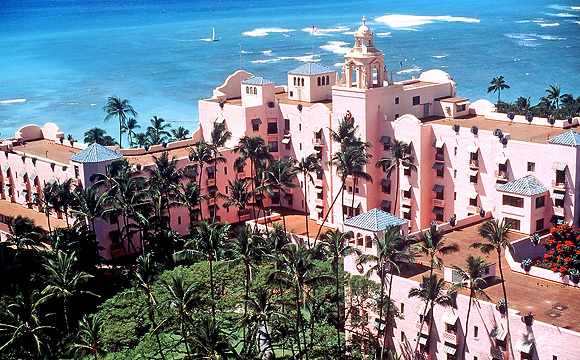 Known as The Pink Palace of the Pacific, this iconic resort has remained a beckon of romance and luxury situated on the Hawaiian coast. Opening its doors in 1927, this resort introduced a new era of extravagant resort travel. With a Spanish-Moorish style, this hotel had with a full staff waiting on every whim of every lucky guest. Today the 10 acres are as beautiful as ever and promise visitors exact style and sophisticated decor. Feel the past come alive in this stunning pink resort. It isn't just the college professors or history geeks that love a good story or that travel to experience days gone by. Today many people love to stay in a hotel or relax in a resort with an interesting past. Let WhatAHotel! help book your stay in a remarkable hotel or resort with a rich and vibrant former life. See how some hotels have used the grandeur of yesteryear, added the modern amenities of today, and came out on top. The Caribbean is a sanctuary for tourists in search of a tropical climate, white sand beaches, limitless seafood and stellar accommodations. With a wide variety of islands scattered throughout the Caribbean Sea as well as several coastal communities willing to play host to the throngs of tourists, vacationers have tons of options as to where to spend their time away. To narrow down their choices, travelers look at the hotel's amenities to help in the selection process. See what an incredible infinity pool does to the standings of an already remarkable resort and get ready to enjoy some fun in the sun. Situated on the small island of Nevis, guests will be pampered upon check in at the luxurious Four Seasons Nevis. As a preferred partner with Four Seasons, WhatAHotel! can assure guests that upon arrival they will find exceptional service and stunning quality. All of the guest rooms and suites are roomy and chic but provide features that amaze the lucky guests. One attribute that stands out to many of the people that arrive here is the adult-only infinity pool nestled up against the sea. This gorgeous pool boasts a smooth surface, wood planked decks and amazing views. Sit here while enjoying the free snacks or order up something a bit more substantial from the wait staff that tends to the pool's guests. Although the Four Seasons Nevis does have two additional pools that are a bit larger, this quiet oasis will prove to be grown-up approved. Our next destination is sure to make you feel like a superstar. A trip to Turks and Caicos will always be fabulous, but the private island that is home to Parrot Cay will up the fabulous factor ten fold. To get here requires a 30 min boat ride from the main city and when guests arrive they will find a 1000-acre, all-inclusive haven. Waterfront villas and a fabulous spa will help to define this resort, but the gorgeous infinity pool will leave you breathless. Hang here and enjoy exceptional service, access to the 3 miles of immaculate beach and views of the azure blue waters nearby. Although many of the private villas showcase personal infinity pools, the setting of the main pool is easily the most astonishing. 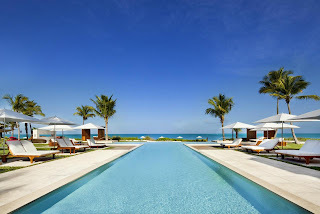 The Ritz-Carlton is another hotel and resort group that strives for elegance and quality. This is absolutely the case on the beautiful island of St. Thomas in the U.S. Virgin Islands. 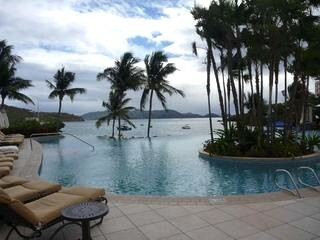 The Ritz-Carlton St. Thomas is a luxe property filled with phenomenal characteristics. A spectacular spa, great dining options and the ideal beachfront location gives this property an exquisite feel, but the stunner may just be the main infinity pool. Situated overlooking the ocean and near the whirlpool and children's pool, this infinity pool is truly pretty. Sit alongside the blue waters and enjoy the feeling of being indulged by the Ritz-Carlton staff. 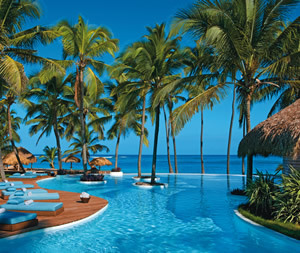 The Dominican Republic is growing in popularity by giving guests posh resort settings, great culture and friendly locals. The sensational beaches only add to the islands already remarkable allure. 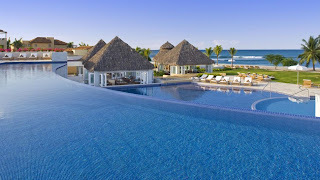 The resort of Zoetry Agua Punta Cana is a secluded boutique hotel that is only a short drive from Punta Cana's super-sized resorts but feels like the only resort on the island. Rooms are huge and have gorgeous terraces and the on-site spa offers superior treatments. The restaurants are lovely and serve up local cuisine that are absolutely delicious, but the infinity pool that hugs the beach and overlooks the ocean is something to write home about. Spend some time along the winding poolside where you can find cozy lounge chairs that are the perfect place to perch yourself for a day of cocktails and sunshine. The pool is an integral part of any vacation. Whether you are young or old, a swimmer or a wader, the poolside beckons. Let WhatAHotel! find you the perfect hotel with a desirable poolside that will satisfy your desire to relax and be pampered. Lemon water and chilled towels, stunning scenery and white beaches all can be found at many of the fabulous resorts found throughout the Caribbean. 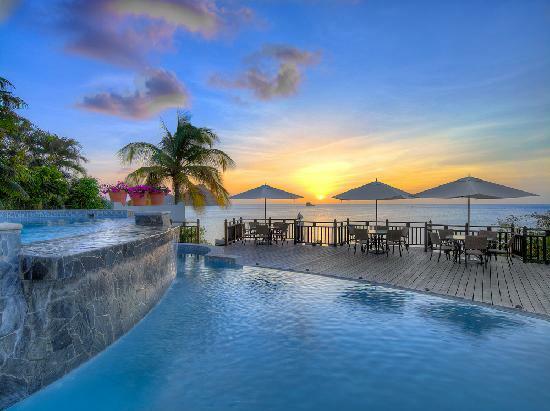 Get ready to take the plunge at one of the Best Hotels in the Caribbean. Haute hotels and resorts are constantly thinking up new ways to entice guests to stay with them. Great service and stunning surroundings are almost becoming commonplace, so hotel groups are looking for ways to impress. One way that seems to work is to provide unforgettable room service, and this exceptional service does not stop at just the menu selections. 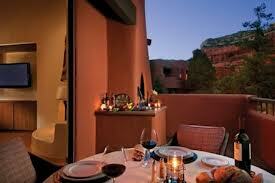 Located in the beautiful city of Sedona sits the award-winning Enchantment Resort. This stunner has a number of reasons to visit and the room service is just one. Everyone loves a great grilled steak and sometimes getting a restaurant to cook it just to your liking is difficult. Well Enchantment Resort has decided to give you the best of both worlds, raw steak, lamb chop and other barbecue favorites can be delivered to your suite door, spice-rubbed to perfection and then you are able to grill it yourself on your own luxurious patio. Now that's service. Four Seasons, a preferred partner with WhatAHotel!, has created a room service specialty that can be found at all of their top notch locations. Four Seasons Resorts and Hotels know that although some of their guests are on vacation and have all the time in the world, some of their guests are in a bit of a time crunch. They know that in today's world even grabbing a bite to eat can prove difficult. That is why they have a speedy room service option. In 15 minutes your airline approved meal can be delivered to your door as you head out of your room or even handed to you personally as you jump into your car on your way to the airport. These gourmet meals will feed your belly and prevent you from eating the not so appetizing airport fast food. 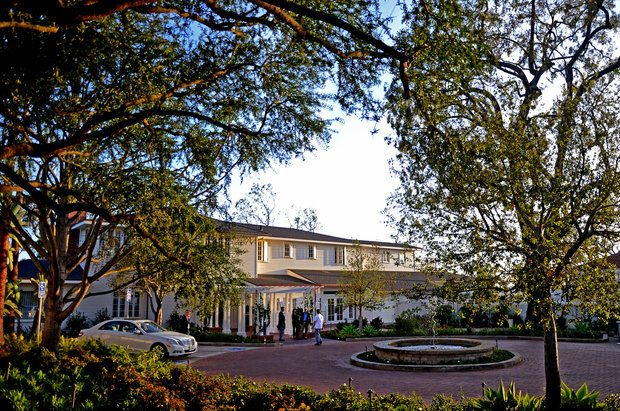 Cavallo Point Lodge is a lovely lodge located in the idyllic national park overlooking the Golden Gate Bridge. 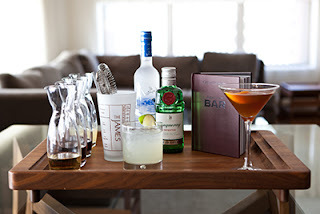 When you stay with Cavallo Point you will be inundated with exceptional service and impressive accommodations But one thing that stands out as a truly unique characteristic is the ability for guests to host a happy hour in their very own room. All of the making of the best cocktails will be delivered to your room so that everyone can enjoy the drink of their choice. If you would rather mingle then mix drinks, a personal bartender can also be provided. End your day in the comfort of your very own room with friends and fabulous drinks. New York City is a fan favorite when it comes to travel destinations and the Gansevoort Park Avenue Hotel is a great place to settle in during your stay. The vibe of the city is one reason people flock to The Big Apple, but that doesn't mean that after a day exploring the urban jungle guests don't want to sit back and relax. This elegant hotel offers guests the option of a Healer session; an in-room spa like service. Enjoy acupuncture or zen-like therapies that will leave you feeling energetic. During your treatment you can also order up some delicious food and drink that will absolutely relax you after a fun day on the town. When you think that you have seen all of the amazing hotels and resorts around the world it may be hard to choose the perfect one for your getaway. Many resorts are going above and beyond to attract guests to stay with them. Let WhatAHotel! help you find the hotel that will pamper you in an unforgettable way. When booking with us you will find exclusive complimentary perks and benefits that will make the stay even more amazing. Let us find the resort or hotel that will give you a chance to experience vacation karma. Cartagena, Colombia is an exotic locale that tempts tourists to come and discover an amazing culture, beautiful people and breathtaking beauty. Let's peruse all of the ways to spend your time in captivating Cartagena and also explore the treasure that you will uncover when you stay at one of Cartegena's most elegant hotels, Sofitel Cartagena Santa Clara. Colombia is similar to the other South American countries in so many ways. The weather is fabulous, the food is phenomenal and the culture is fascinating. Cartagena is the largest port city in Colombia and the fifth largest city, therefore drawing attention as one hot place to travel. Upon arrival, touSrists will have a difficult time determining how to spend their days here. Not because of the lack of things to do, but because there are just so many ways to spend your time. Boutique shopping is nestled along the charming city streets along with delightful restaurants and historic architecture. There are parks and beaches that allow visitors to enjoy the great weather and tropical breezes that are found in Cartagena. All aspects of life in this quaint Colombian town ensure that your time will be spectacular. 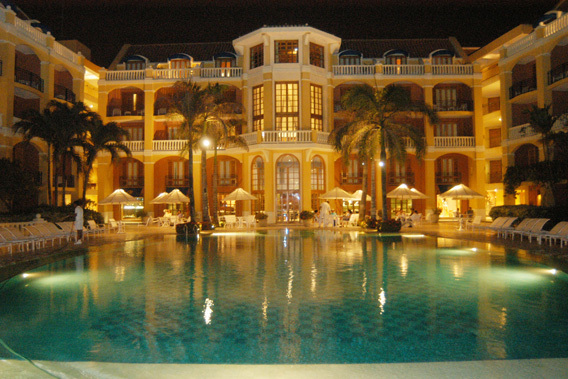 Upon arrival in Cartagena, you have a variety of choices of chic hotels. But WhatAHotel! is sure that the accommodations and service found at Sofitel Cartagena Santa Clara will set this hotel apart from the many others in this vibrant town. This Sofitel hotel was originally built as a monastery back in 1621, but today is overflowing with amazing decor and a very considerate and generous staff. The walls of the hotel were once a defensive shield for the entire city and today are blended with balconies and buildings to create a splendid and marvelous attraction. A stay here gives guests access to exclusive complimentary perks and benefits that only add to this already alluring establishment. International cuisine with local flavor is served at the award-winning restaurants and the bars are great places to sit back, enjoy a cocktail and visit with great friends. The on-site spa will wash away your worries and the suites and villas are luxurious as well as comfortable. 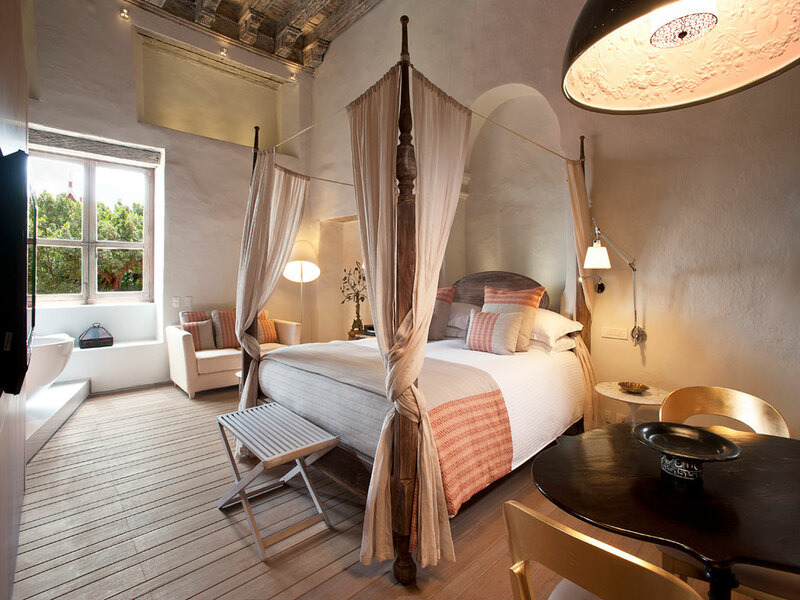 No detail has been overlooked in this gorgeous, yet historical, Cartagenan gem. Cartagena has had a past that isn't as polished as some would like. But the people of this beautiful city have worked hard to create a locale that is welcoming to tourists and that will leave a lasting memory. Plan your trip to the pulse-pounding country of Colombia and plan to spend some time in the spectacular city of Cartagena. 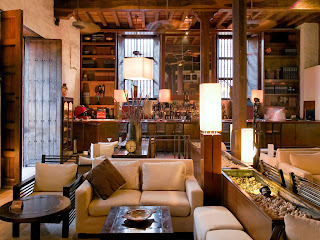 It's chemistry and glamour radiate through the streets and promise to captivate each and every visitor. Whether you have children or not, you can appreciate a vacation that is child free. Because of this, hotels and resorts have created stunning resorts with the rule that Ponta dos Ganchos is a picturesque locale in Brazil that has just such a policy. 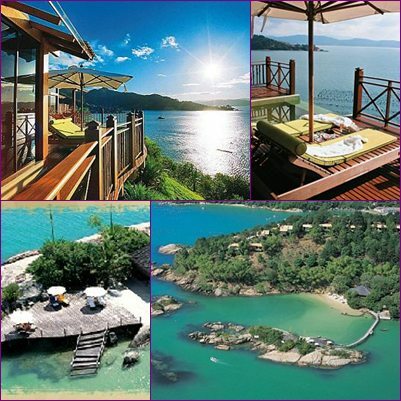 If you are looking for a quiet, posh and romantic getaway, Ponta dos Ganchos is the place for you. Ponta dos Ganchos is a paradise located in southern Brazil. 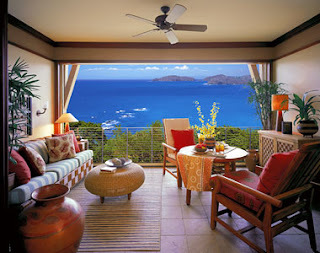 Calling a private peninsula home, this exclusive resort is adult-only and absolutely spectacular. Arriving via helicopter, as many guests do, only adds to the phenomenal atmosphere of the resort. One of 25 villas will become your home for the duration of your stay, and inside of the remarkable villa guests will discover private verandas, cozy hammocks and panoramic views of the ocean. If you upgrade to one of the more upscale units you will discover even more fabulous amenities like a private plunge pool, sauna and Jacuzzi. While at Ponta dos Ganchos guests will find all-inclusive accommodations and impressive luxury. Guests can enjoy exceptional food and wine, privacy and beautiful surroundings. If you are looking for an adult only getaway, Ponta dos Ganchos is ready to welcome you with fantastic service at an exclusive resort. When we think of vacation, we tend to dream of lounging in the sand, an iced cold beverage in our hand. What we don't like to think about is our child throwing a temper tantrum or tossing sand in our faces while onlookers scold us for not being in more control of our offspring. Don't get me wrong, traveling with children and watching them experience new spaces, places and cultures is fabulous and reminds us of how great it is to be young. But as a parent, getting away from our most precious gift can be quite fantastic. Become a better parent or check out what its like to be in a grown-up only environment and enjoy the luxury of Ponta dos Ganchos. If you are concerned about traveling and leaving your furry family member at home, you're not alone. Many dog lovers think twice before booking that dream vacation, not wanting to leave their canine loved one alone or in a strange place. Some luxury hotel groups have decided that to be able to accommodate the desire of guests to bring along their best friend, they had to become a dog-friendly locale. Let's check out a few of America's best dog friendly hotels and see if one is "paw"fect for you. Trump International Hotel in Chicago is a great example of a pooch friendly hotel that will also please the puppy's owner. Luxury is found everywhere you look and for no additional fee your pet can stay with you and feel like a million bucks. This windy city hotel offers pet guests a plush dog bed, gourmet treats and their very own water bowl filled with bottled water. The Trump Chicago also provides a list of places where you can visit with your dog in tow. 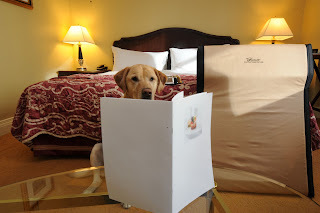 If you feel like pampering your pet with some in-room dining, the room service menu includes a special section created especially for your pet. Our next lux location is in a place that will prove remarkable to both dogs and their owners. The Mandarin Oriental, Miami is very chic and is quite happy to welcome both you and your pooch. Dogs can spend their days lounging in the sand with their human or have a doggy play date where they can exercise with the certified dog trainer. The trainer will also work with naughty pups that have issues like barking or jumping. After a long day working out, your pup can relax wearing a cozy bathrobe made just for dogs or maybe even a flashy shirt that is studded with Swarovski crystals. And if you find yourself exhausted from a night out in this vibrant town, the Mandarin Oriental would be more then happy to walk your dog while you rest. 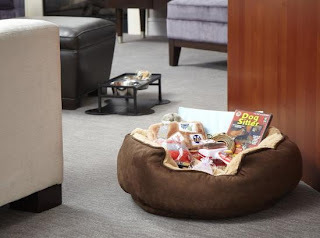 You and your pooch will feel very lucky during your stay at the Mandarin Oriental Miami. Our next hotel chain thinks that dogs should be allowed in any of their stylish hotels, regardless of the city. W Hotels are known to be stunning locations that allow guests to experience high style and grand comfort and this quality doesn't end with humans. W Hotels promote what they call the P.A.W. program (Pets Are Welcome). This program means that upon check in pets will receive a welcome basket that includes a toy, treat, tag, bags to clean up little messes and a welcome letter to ensure that Fido feels at home. Dogs will feel like a prince with the provided dog bed, water bowls, room sign and a special snack at turn-down. W Hotels also offers a doggy boot camp so that your pup can easily get his or her workout in. 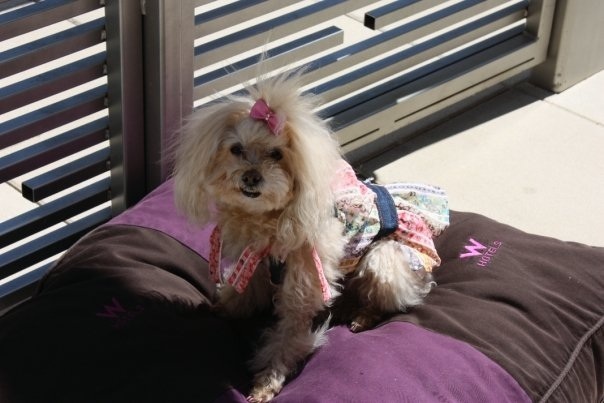 We think that the W Hotel Group has thought of everything to make sure your dog is happy and pampered. These three above hotels are not the only ones that find it important to allow dogs to stay with their owners. A few other fabulous destinations include The Ritz-Carlton, Bachelor Gulch in Beaver Creek Colorado where you can hike with your pooch and then enjoy room service for you both after a long day on the trails. Or head to California and stay at the impressive Fairmont San Francisco where you can find a mini bar for the humans as well as one for your four-legged friend. America is a dog-friendly country and the hotels and resorts here are doing their best to indulge this love affair. If you were worried that your summer vacation could be cut short due to the fact that you find yourself missing your pup, think again. 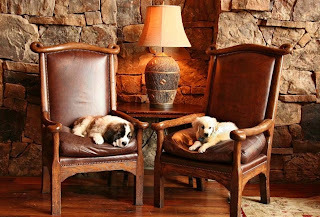 Hotels and resorts have started to create special accommodations that are amazing for both man and his best friend. Let WhatAHotel! help you find the perfect pet friendly hotel and when you book with us you can also receive exclusive complimentary perks and benefits to guarantee that your vacation will be absolutely unforgettable. 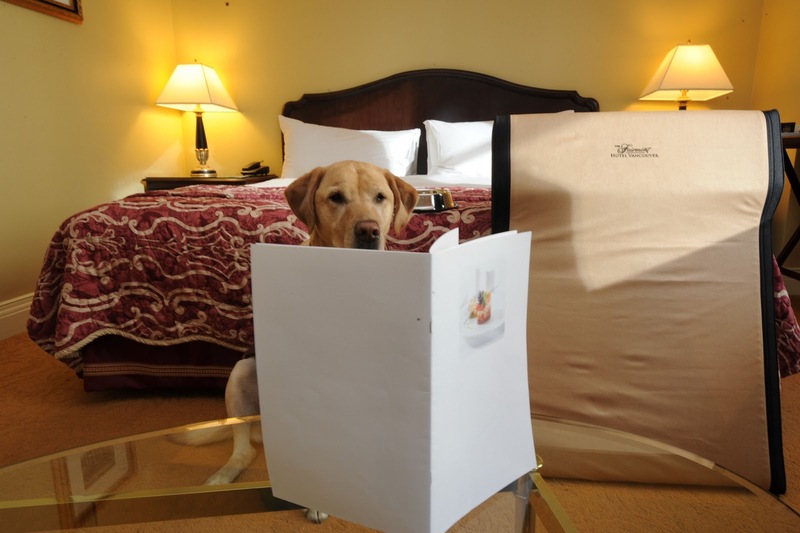 Stay in style and with deluxe accommodations for humans and their furry friends. When the fall is upon us, cold weather lovers dream of that first snowfall. Many travelers count the days until ski season is in full swing, ready to hit the slopes for some fun. There are a number of amazing locations all over the world where skiing is a huge revenue producer for the state or country. However once spring hits, the slopes do not completely shut down, the action just moves toward warm weather adventure. If Colorado is a favorite winter time destination, don't miss out on the excitement that happens when the sun is hot and the snow a distant memory. 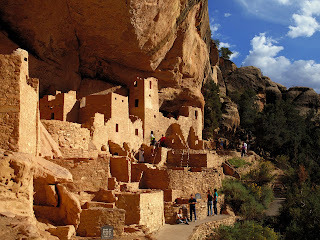 Here are a few reasons that a summer excursion to Colorado is a great idea. There is no doubt that the landscape in Colorado is impressive. Home to a large portion of the Rocky Mountains, Colorado boasts red sandstone, gorgeous canyons, crystal clear lakes and peaks that reach toward the heavens. Colorado also has a strong connection to music, and by combining the two you get something simply spectacular. The Red Rocks Amphitheater is the perfect place to experience this. Located just a short distance from Denver, this venue is smashed between two 300 foot sandstone monoliths and has great natural acoustics. It's beauty is undeniable, so if you love concerts as well as nature, there isn't anyplace better. Another amazing locale for top artists is The Mishawaka Amphitheater near Fort Collins. This charming setting on Poudre Canyon in Bellvue has summertime concerts that offer fans less of a crowd but great sound. And finally if you adore Bluegrass, head to the Telluride Bluegrass Festival. For forty years this world famous festival has welcomed music lovers to the lovely San Juan Mountains. Music filled nights with starry skies and breathtaking scenery, not a bad way to spend your time in Colorado. 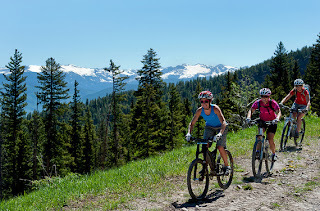 Once the snow melts the trails and roadways are clear for bikers and hikers to explore the beauty that is Colorado's landscape. If mountain biking is something you love to do or long to do, check out the off-road possibilities here. In Crested Butte, not too far from iconic Aspen, there are 500 miles of trails to explore. While you're there you can even visit the Mountain Biking Hall of Fame. If you are an extreme adventurer, hit the 500 mile Colorado Trail that winds from Durango all the way to Denver. Become one with nature either on foot or on bike and get your heart pumping this summer. Sometimes considered a lost love, train travel is still alive in Colorado. The tracks here are a combination of history and picturesque scenery. There are 10 different trains that charge through wild rapids and sharp turns. Jump on one of these antique trains and explore the Rockies from the comfort of a quaint train car. No other way can you experience the canyons, rivers and old mining towns in such a unique way. 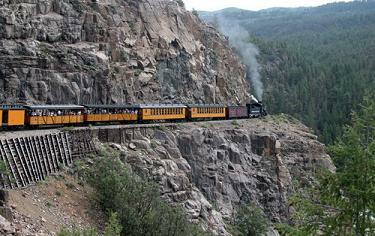 The Durango and Silverton Narrow Gauge Railroad even offers it's guests an option of an open-air car, called a gondola, so that sightseers can get a feel of the land and enjoy the fresh mountain air. National parks are always a family favorite once school is done and the summer sun is out. Colorado is lucky to have four national parks that all offer visitors a completely different feel. Rocky Mountain National Park is a great place to hike or hang lakeside while Great Sand Dunes National Park is full of some stunning rolling dunes. Check out the cliff dwellings of the Pueblo Indians at Mesa Verde National Park or enjoy the frightening depths of the canyons at Black Canyon of the Gunnison National Park. Each park gives guests a chance to experience Colorado and it's truly spectacular landscape. As if the above excursions weren't enough of a reason to head to Colorado this summer, there are still other fabulous things to do and see while on vacation. The people of this gorgeous state love the great outdoors, so it is no surprise that there are countless festivals and fairs once the sun thaws the ground. Beer festivals, white water festivals and concerts are held all summer long and you can even check out the local cowboys at any of the stampedes and rodeos that are held around the state. Colorado welcomes the adventurous looking for an unforgettable time and tells the lazy to just stay home. Let WhatAHotel! help you find a spectacular hotel in a central location to ensure that you are able to fill your days and nights with a number of awe-inspiring activities. Hotel and Resort renovations are quite common. They are constantly changing out mattresses and worn furnishings to ensure that the surroundings are always pristine. On occasion however, some luxury hotels don't just perform a simple redo, but an imposing renovation. Here are a few amazing hotels and resorts that not only swap out the bedding, but add upgrades to the max. 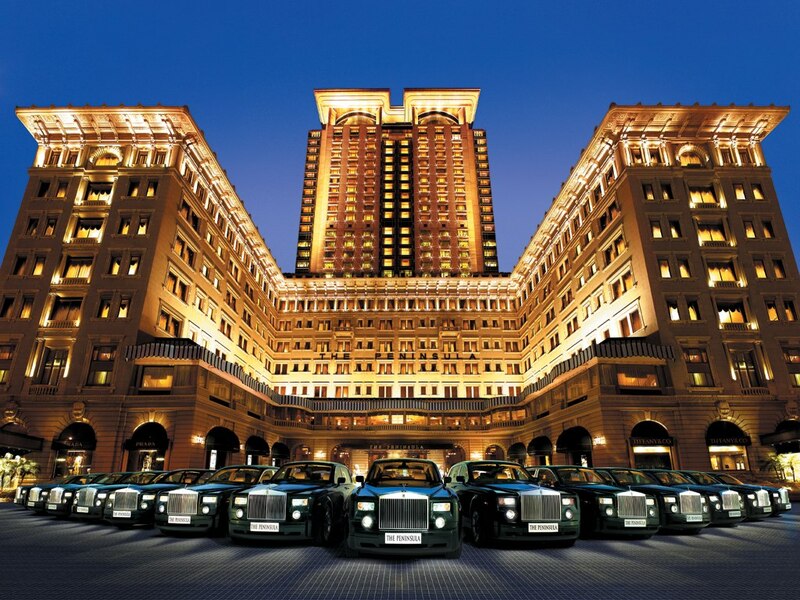 The Peninsula Hotel Group's flagship hotel is located in vibrant Hong Kong and has become famous for the elegant common areas, impressive dining options, white glove service and a very inspiring Rolls Royce fleet of cars. This gorgeous hotel opened its doors in 1928 and has dazzled guests ever since. But recently The Peninsula Hong Kong took on a 60 million dollar renovation that kept all of the fabulous aspects it previously held and added a few more high-tech ones. Today it stands as one of the most technologically advanced hotels in the world with ultra fast WiFi 3-D televisions and much more. One thing that remains the same in Las Vegas is that it is always changing. New hotels are going up and not so new hotels are under construction with the latest and greatest improvements. 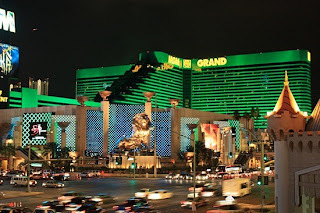 MGM Grand is one hotel on the Vegas strip that is truly astonishing and has just executed the highest profile upgrade this city has ever seen. Standing as the largest resort in Sin City, the MGM Grand presents guests with nightlife, entertainment options and celebrity chef restaurants. This recent renovation exceeded 100 million dollars and included upgrades to guest rooms from top to bottom, the addition of even more entertainment options and added focus toward sustainability at the hotel. You check in at your hotel and just assume that your bathroom will actually be in your room. However that wasn't always the case. The Savoy in London has been a top hotel for quite some time and was actually the first hotel with in-room bathrooms. 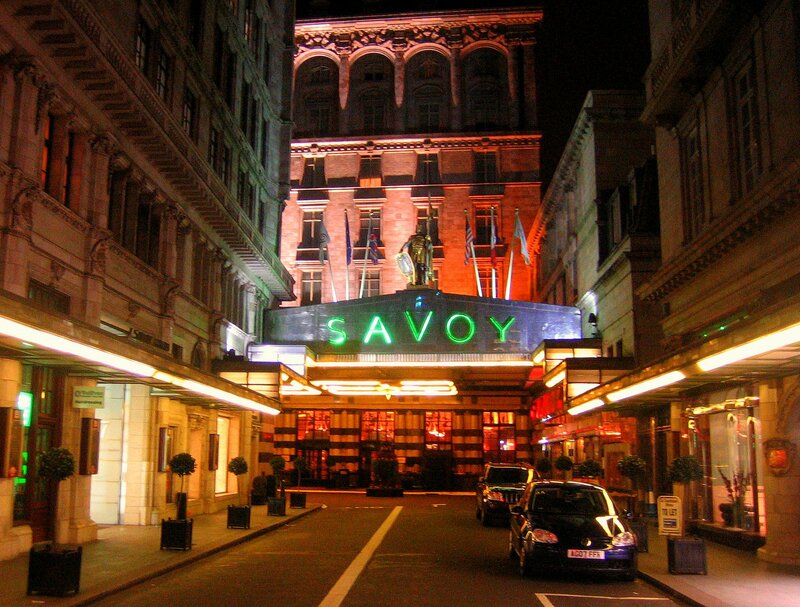 Because The Savoy was opened in 1889, it has gone through the renovation process before. 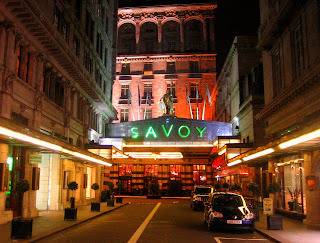 Not that long ago The Savoy actually closed its iconic doors unable to keep the hotel running. After three years sitting empty, Prince Charles took it upon himself to reopen it with a renovation that was close to 400 million dollars. Now this hotel is open and back to the brilliance of it's past, guests are able to enjoy its rich history as well as the new gorgeous and modern conveniences. El Encanto located in Santa Barbara, California is yet another hotel that has been open for quite some time. Since 1918 this gorgeous locale has hosted important guests with phenomenal amenities and posh decor. 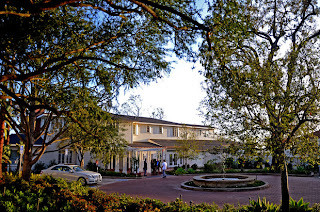 This romantic hotel closed up shop for seven years to allow for a massive million dollar renovation under the new ownership of Oriental-Express Hotels. Today guests can enjoy 7 acres of landscaped gardens, breathtaking views of the Pacific, a full service spa and other spectacular amenities. Stay in one of the new bungalows on the hotel grounds or just sit under the sun and take in the views of the local Santa Barbara vineyards. Although Oriental-Express Hotels revamped this hotel and created a modern destination, it worked closely with the local historical society to ensure that it was restored to enhance its original charm and beauty. Four Seasons is a luxury hotel group that has a fabulous reputation and promises guests impeccable service along with an extravagant setting. So it came as no surprise that when Four Seasons purchased a already established hotel in the African Serengeti, it planned an overall renovation. Needing to create a destination that guests could recognize as a Four Seasons property, several upgrades were added including a sumptuous spa, divine dining at the multiple restaurants and bars, a kids club, and guest rooms with plush bedding and linens as well as a soaking tub, stand up shower and decadent decor. 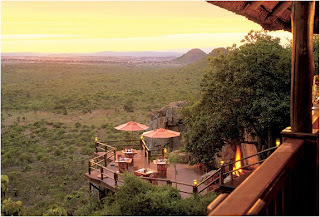 Add to these new and improved amenities the lions, elephants and giraffes that call the African grounds home, and the Four Seasons Safari Lodge Serengeti, Tanzania is a one of a kind Four Seasons Resort. When guests are told "we're under renovation" by their hotel of choice, it can cause stress. But these days hotels and resorts do their very best to renovate without causing their important patrons any headaches. It's nice to know that some of the top hotels continue to impress with new upgrades and added amenities. Let WhatAHotel! help you book your stay at one of these newly refurbished resorts and discover how nice new can be.